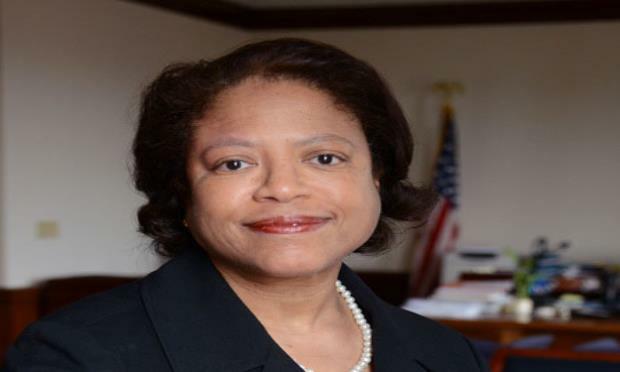 In two complementary notices, the Lawful Constitutional Debt Coalition (LCDC) asked Judge Laura Taylor Swain to deny a motion by the Ad Hoc Group of Puerto Rico General Obligation Bondholders seeking to stop the claims of illegality made by the Oversight Board and the Unsecured Creditors Committee (UCC). Specifically, the LCDC told Swain that the motion filed by the Ad Hoc-GO - aimed at modifying the process suggested to the court to determine the validity of the debt the Board rejected - presents unresolved controversies, raises arguments based on scenarios that may or may not occur and that seem more inclined to influence public opinion than to justify the approaches under current laws. “The Commonwealth’s failure to comply with this Constitutional mandate resulted in the issuance of approximately $6.7 billion of purported full faith and credit GO bonds and guarantees in 2012 and 2014 that violated the express terms of the Constitutional Debt Limit,” argued the law firms Reichard & Escalera and Quin Emanuel Urquhart & Sullivan, that represent the LCDC. In a surprise move last December, the UCC and the Board filed a joint motion for that court to declare that the Public Buildings Authority (PBA) was “a sham” used to issue debt. In short, the UCC and the Board argued that the government created a mechanism to lease itself its own properties creating collateral to issue debt for $4 billion in the municipal market. After that motion, in January, the Board and the UCC went back to court asking to invalidate three GOs bond issues sold in 2012 and the $3.5 billion sold in 2014. Last week, El Nuevo Día reported that at a Wharton Business School Event (Pennsylvania University), Board director David Skeel anticipated that the federal entity was examining other debt transactions that could also be invalid. Swain determined to address the controversy urgently and included it in this month's Title III general hearing. Now, the LCDC -a group created last month expecting to reach an agreement with the Board and the government – joins the controversy with a different approach, but leading to the same conclusion. The LCDC disagrees with the UCC and the Board on the character of the PBA, but agrees with them that the payments made by the government to the PBA should have been considered when determining Puerto Rico's debt capacity and, apparently, this did not happen. If the LCDC is right, the court would have to determine whether about $6,233 billion in GOs, about $583 million in PBA bonds and another $311.7 million issued by Port of the Americas and certain bond anticipation bonds (BANs) issued by the Puerto Rico Infrastructure Financing Authority (PRIFA) are illegal. “Language added to Puerto Rico’s Constitution in 1961 – after the PBA’s establishment – makes clear that payments made by the central government ‘for principal and interest on account of any outstanding obligations evidenced by bonds or notes guaranteed by the Commonwealth’ count towards the constitutional debt limit,” reads LCDC motion to Swain, which also warns that if the Ad Hoc-GO claims were accepted, the controversy would extend until next August. The LCDC notices come at a time when the number of GO and PBA bondholders who have asked to participate in the process to settle part of the government's debt continues to rise. This is after Swain ordered the Board and the UCC to notify all bondholders who could be affected if the disputed debt is canceled. However, as part of that process, the Board has faced problems knowing exactly who the government's creditors are, so the federal entity would have formally required information from investment banks and DTC firm.